It’s the changing of the guard as a former Internet superstar gets bought out by a company gunning for a bigger audience. According to multiple reports, Yahoo’s board recently accepted the terms for a buyout offer from Verizon, which means that for the first time in more than 20 years, Yahoo will no longer be an independent company. The sale marks the end of one of the pioneers in the Internet space. Yahoo began in a Stanford dorm room when Jerry Yang and David Filo charted their guide to the World Wide Web. It grew quickly and was a staple for the early days of the Internet, serving as many people’s first look at the now ubiquitous technology. At one point it was even among the highest-valued properties on the Internet at $125 billion. Before Google began to dominate the search engine industry, the world turned to Yahoo, and it had total control. It was an online directory, an email service, web host, and video and radio player with a rapidly increase customer base. However, the dot-com crash was devastating to Yahoo, and the company was never able to fully recover. Outsmarted by a stronger Google algorithm, outdated by the boom of social media and Facebook, and left in the dust by mobile browsing and apps, Yahoo could never quite rebuild its reputation or relevance. Yahoo tried to recover by acquiring companies it thought would take it to the next level, like Tumblr, but nearly all of these acquisitions never came close to their projected revenues, putting Yahoo further in a hole. In 2008, Yahoo turned down a $44 billion offer from Microsoft, which is nearly 10 times more than what the current sale is worth, according to reports. The company has been floundering ever since, losing credibility and revenue. Although the official terms of the sale haven’t been finalized or announced and Yahoo won’t comment on the details until the sale is complete, multiple reports say Verizon will purchase Yahoo’s main assets for $4.8 billion. 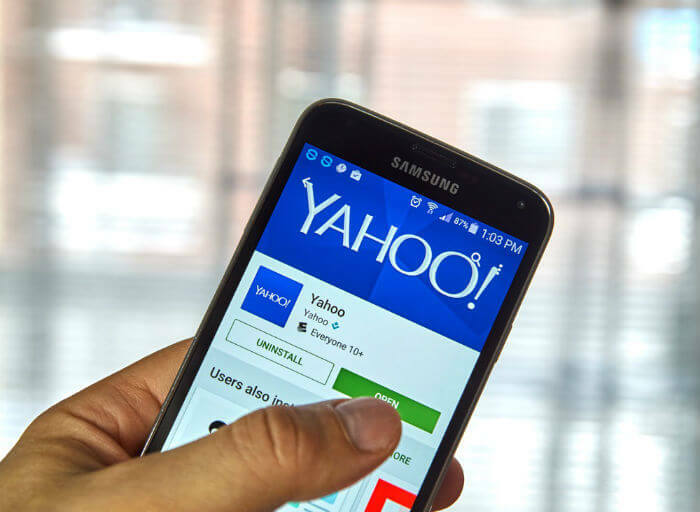 Most experts speculate the sale will include Yahoo News, Mail, and other online services that reach more than 1 billion people around the world. Most of Yahoo’s current value comes from its investment in Alibaba, a Chinese online conglomerate, about $41 billion worth. The Times is reporting that Yahoo’s stake in Alibaba will remain with its current shareholders. For Verizon, purchasing Yahoo adds a powerful tool to its Internet arsenal. Verizon also bought AOL and is expected to integrate AOL’s advertising technology with Yahoo’s existing, far-reaching services. Verizon is expected to leverage Yahoo’s huge existing customer base in online advertising to rival Google and Facebook. The move slingshots Verizon into the midst of the digital media game and gives it instant customers, which lead to advertising alternatives to the giant Google and Facebook, something Verizon believes many companies are craving. However, things might take some time to warm up: Verizon recently reported a 5.3% revenue decline for the second quarter of 2016—its first quarterly revenue drop since 2010. Verizon apparently will leave the Yahoo brand as is and move into the company’s 1 million square foot campus in Silicon Valley—prime real estate in the technology market. It’s unknown what will happen to Yahoo’s many employees around the world in the transition to Verizon. According to the New York Times, Yahoo CEO Marissa Mayer could get a severance package worth about $57 million, not bad considering she already earned $218 in cash and stock during her four years with the company. By purchasing Yahoo, Verizon has made the digital media space more interesting, and another former internet powerhouse is on its way out. As the technology industry continues to change and evolve, we could see even more large moves that change the industry landscape. What's Wrong with Japan's Economy?